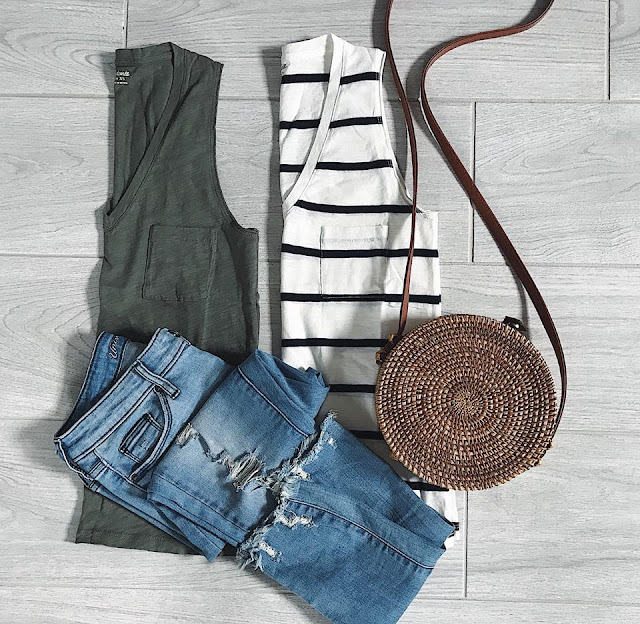 If I could choose only one shirt to wear all summer long, it would definitely be a Madewell pocket tank. I'm wearing them now under cardigans, and I'll be wearing them alone as soon as it warms up here (if that ever happens!). These shirts are the tank version of the insanely popular Madewell v-neck whisper cotton tees (which now come in lots of pretty spring colors!). Not only do these tanks come in lots of color options, they also come in crew neck. The tanks run just slightly big, so if you're in between sizes, I recommend sizing down. I ordered mine in XS, and they fit perfectly.